MPSC Answer Key 2019: Civil Judge Jr Division & Jr Magistrate First Class Pre Exam Answer Key 2019 is available now for MPSC Civil Judge Jr Division & Jr Magistrate First Class Pre Exam 2019. The exam was organized by Maharashtra Public Service Commission (MPSC) on 07 Apr 2019. MPSC Civil Judge Jr Division & Jr Magistrate First Class Pre Exam Answer Key 2019: Maharashtra Public Service Commission (MPSC) has issued the Answer Key on 10 Apr 2019 for MPSC Civil Judge Jr Division & Jr Magistrate First Class Pre Exam 2019 which was conducted on 07 Apr 2019. Answer Key can be accessed from the link given below. 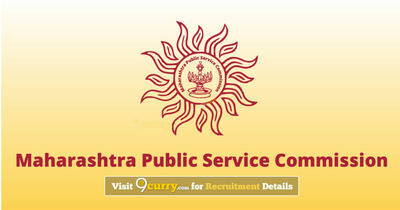 MPSC Maharashtra Subordinate Services Pre Answer Key 2019: Maharashtra Public Service Commission (MPSC) has issued the Answer Key on 26 Mar 2019 for Maharashtra Public Service Commission Maharashtra Subordinate Services Pre Exam 2019 which was conducted on 24 Mar 2019. Answer Key can be accessed from the link given below. MPSC State Service Pre Exam Answer Key 2019: Maharashtra Public Service Commission (MPSC) has issued the Answer Key on 21 Feb 2019 for Maharashtra State Service Pre Exam 2019. Answer Key can be accessed from the link given below. MPSC Assistant Section Officer Answer Key 2019: Maharashtra Public Service Commission (MPSC) has issued the Answer Key on 11 Feb 2019 for the exam which was conducted on 19 Jan 2019. Answer Key can be accessed from the link given below. MPSC Assistant Section Officer Answer Key 2019: Maharashtra Public Service Commission (MPSC) has issued the Answer Key on 23 Jan 2019 for MPSC Assistant Section Officer Exam 2018. Answer Key can be accessed from the link given below. MPSC Group C Main Exam 2018 Paper 2 Tax Assistant Final Answer Key 2019: Maharashtra Public Service Commission (MPSC) has issued the Answer Key on 14 Jan 2019 for the exam which was conducted on 02 Dec 2018. Answer Key can be accessed from the link given below. MPSC Maharashtra Forest Service Main Exam 2018 Final Answer Key 2019: Maharashtra Public Service Commission (MPSC) has issued the Answer Key on 07 Jan 2019 for MPSC Maharashtra Forest Service Main Exam 2018 which was conducted on 28 Oct 2018. Answer Key can be accessed from the link given below. MPSC Maharashtra Group-C Service Main Exam 2018 - Clerk Typist final Answer Key: Maharashtra Public Service Commission (MPSC) has issued the Answer Key on 19 Dec 2018 for MPSC Maharashtra Group-C Service Main Exam 2018 - Clerk Typist . Answer Key can be accessed from the link given below. MPSC Tax Assistant Answer Key 2018: Maharashtra Public Service Commission (MPSC) has issued the Answer Key on 06 Dec 2018 for the exam which was conducted on 02 Dec 2018. Answer Key can be accessed from the link given below. MPSC State Services Main 2018 Final Answer Key: Maharashtra Public Service Commission (MPSC) has issued the Answer Key on 04 Dec 2018 for MPSC State Services Main Exam 2018 . Answer Key can be accessed from the link given below. MPSC Maharashtra Electrical Engineering Services Main Exam Answer Key 2018: Maharashtra Public Service Commission (MPSC) has issued the Answer Key on 28 Nov 2018 for MPSC Maharashtra Electrical Engineering Services Main Exam 2018. Answer Key can be accessed from the link given below. MPSC Maharashtra Forest Service (Main) Exam Answer Key 2018: Maharashtra Public Service Commission (MPSC) has issued the Answer Key on 01 Nov 2018 for MPSC Maharashtra Forest Service (Main) Exam 2018 which was conducted on 28 Oct 2018. Answer Key can be accessed from the link given below. MPSC Clerk Typist Answer Key 2018: Maharashtra Public Service Commission (MPSC) has issued the Answer Key on 29 Oct 2018 for the exam. Answer Key can be accessed from the link given below. MPSC State Tax Inspector Final Answer Key 2018: Maharashtra Public Service Commission (MPSC) has issued the Answer Key on 23 Oct 2018 for the exam. Answer Key can be accessed from the link given below. MPSC Maharashtra Group C Main Exam Answer Key 2018: Maharashtra Public Service Commission (MPSC) has issued the Answer Key on 14 Oct 2018 for the exam. Answer Key can be accessed from the link given below.